Welcome to Seoul, Steve Vai! 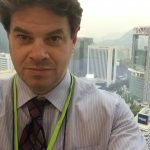 – Peter's Site! 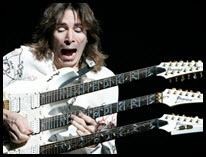 Welcome to Seoul, Steve Vai! 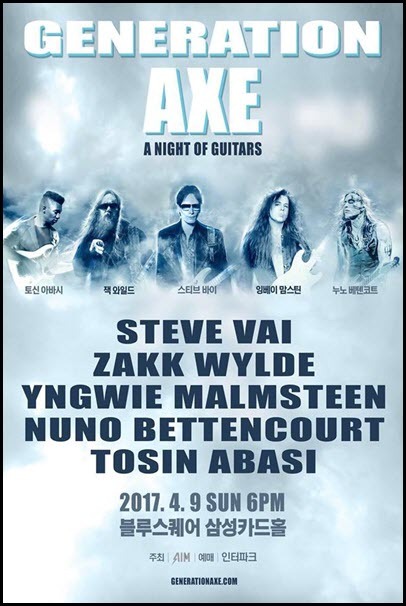 Just a few months after guitar hero Joe Satriani performed in Seoul, his most famous student, Steve Vai, follows suit, and he’s bringing a few friends with him under the banner of Generation Axe. Here’s Steve discussing the show just ahead of his arrival in Korea. Tonight’s concert (I’m starting this post the morning of the concert) will be the fourth time I’ve seen Steve perform live. The first was back on February 14, 1997 at Sydney’s Coogee Bay Hotel. This setlist from his Auckland concert two nights later is probably the same setlist he performed in Sydney. In fact, the Auckland setlist may be the Sydney set list as it includes Australia’s national anthem, an odd choice for a New Zealand concert! I don’t recall that being performed though. 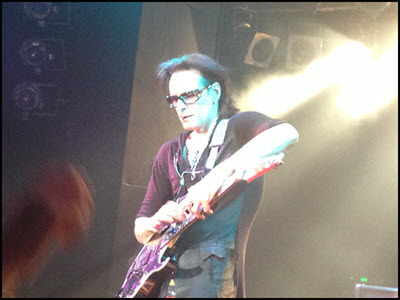 My second and third Steve Vai concerts took place on consecutive nights in Japan. 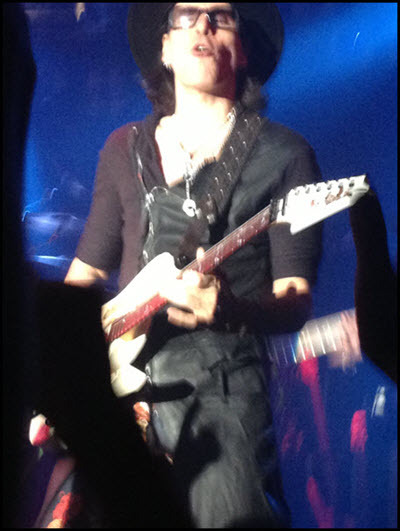 August 1 and 2, 2013 were the dates, and the venues were Tokyo and nearby Yokohama. 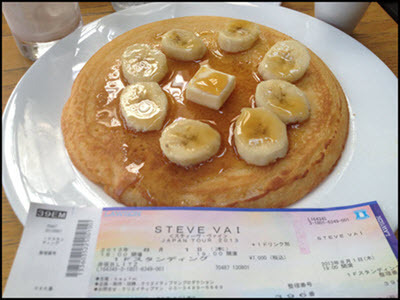 I had long wanted to return to Japan for a vacation, and Steve’s tour helped me to decide the dates. Initially, I only planned on attending the Tokyo concert. I didn’t decide until much later to make the most of my time in Japan Vai wise and attend the Yokohama show the following night. 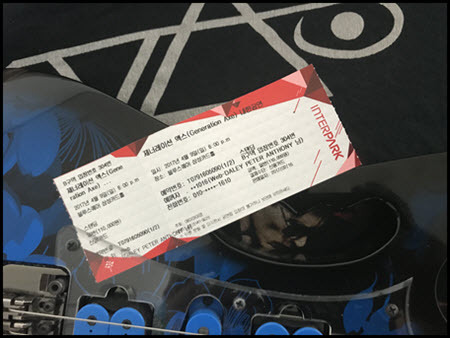 Best decision ever as the Yokohama show was particularly memorable because it was a smaller venue and I was right up the front. 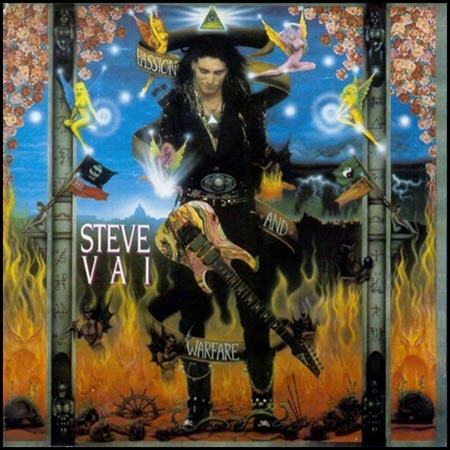 While I’ve tried my hand at a few of Joe Satriani’s easier songs, there is only one Steve Vai song, “Sisters” from Passion and Warfare, that I’ve ever tackled in its entirety. I had it had under my fingers – not perfect of course – back in my early 20s when I used to do some solo restaurant sets. Previous Article April 2017 Fitness Diary! Next Article May 2017 Fitness Diary!